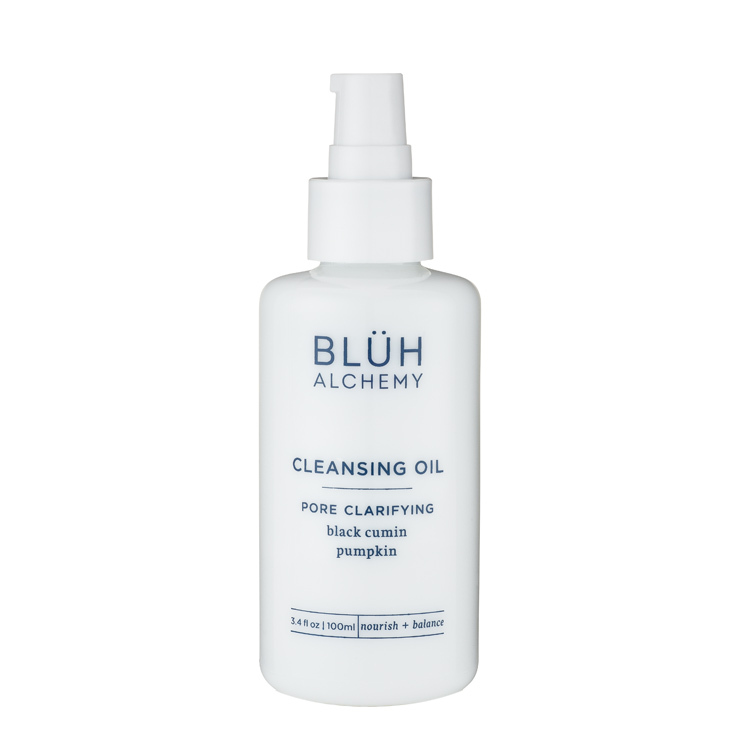 A facial cleanser with multiple benefits, Blüh Alchemy Cleansing Oil is designed for most-to-all skin types. Formulated with a combination of skin loving organic and wildcrafted oils that easily lift dirt and makeup from skin. Sesame oil reduces the appearance of blemishes and lends a softened feel to skin. Kakadu plum and elderberry increase the look of radiance and even skin tone. Pumpkin seed provides a soothing sensation, giving the skin a plumped, nourished look. 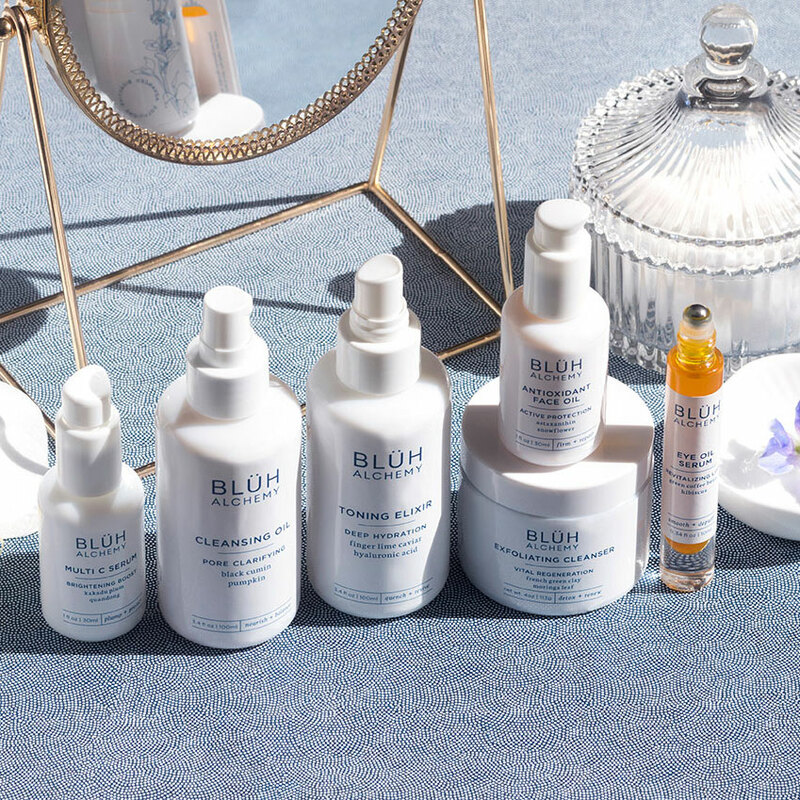 Skin is left feeling clean, refreshed, and lightly hydrated. Warm 2-3 pumps of cleanser between fingertips and massage onto dry skin, gently massaging in small circular motions. Apply a wet, warm cloth and gently steam the skin to cleanse away dirt, makeup, and debris. May be used both morning and night.